A summary of the Shakedown report. How the United States is depriving deportees of their property arbitrarily without due process of law and placing them at heightened risk. A summary of the Post-deportation Health report. 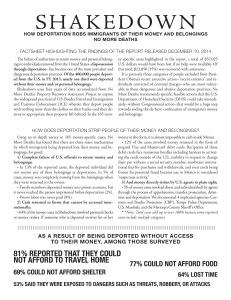 Learn about the compounded health impact of detention and deportation on immigrants and their families. 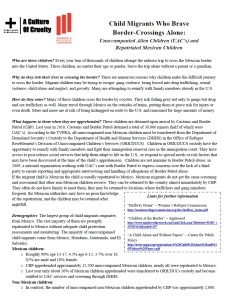 Learn about children who migrate alone, what happens to them when they’re apprehended—especially the vulnerability of Mexican children. 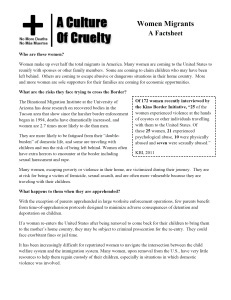 Women make up a special category of migrants, and are not immune from abuses, neither on their journey nor after being apprehended. 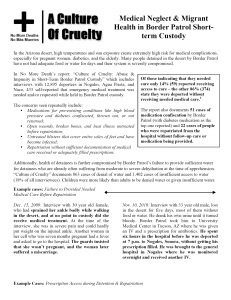 Learn about the statistics related to medical neglect in A Culture of Cruelty. 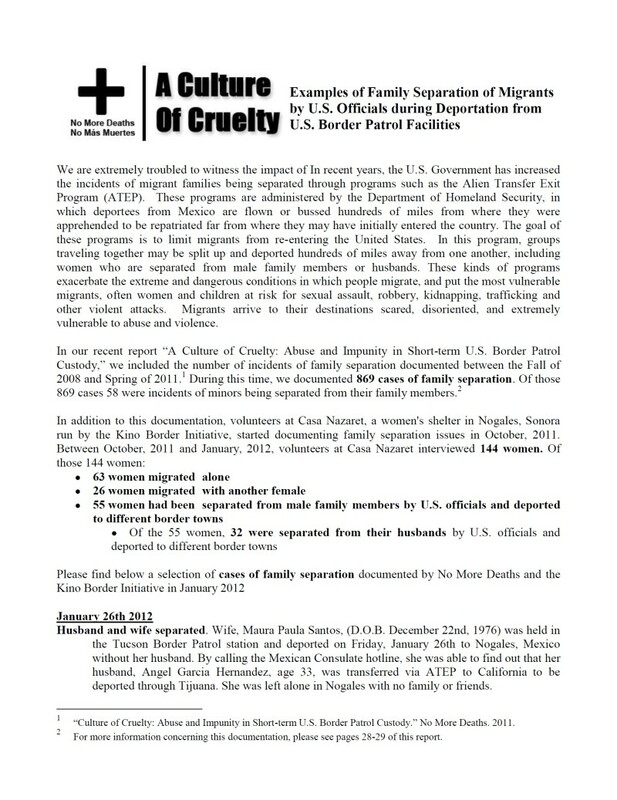 Learn about the practices of the Alien Transfer Exit Program, designed to send migrants far away from the border region through which they originally traveled. It separates families and groups of travelers and costs US taxpayers a lot of money! 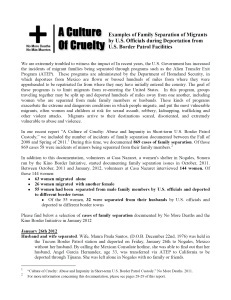 Learn about Border Patrol practices that separate families and endanger the health and safety of detainees and deportees.